Cosworth, the leading automotive technologies company, is extending its range of camera and data systems to provide vision solutions for Advanced Driver-Assistance Systems (ADAS) and autonomous vehicles. 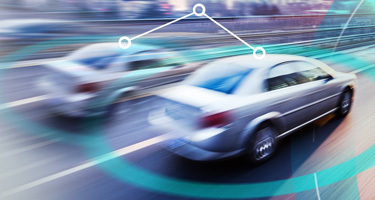 Its expertise in the field of intelligent vision software will be used as part of a UK consortium looking at the development of a collision avoidance system, which will improve the operation and safety of autonomous and connected vehicles. The Multi-Car Collision Avoidance project (MuCCA) will use Artificial Intelligence and vehicle-to-vehicle communications to help autonomous vehicles make co-operative decisions to avoid potential collisions in motorway environments. 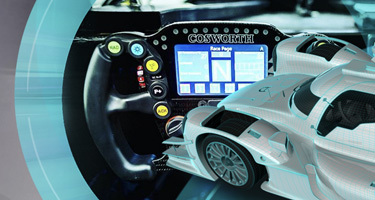 Cosworth’s contribution will centre on vision and data logging technologies, whose foundations over three decades in motorsport have been more recently applied in the wider automotive industry. The company has spent years developing high quality cameras and vision software, which has been developed and refined over many years as part of Cosworth’s hugely successful AliveDrive ecosystem. The performance electronics units have been rolled out to the mainstream automotive industry in recent years, with 40,000 supplied to General Motors annually. The MuCCA project will take Cosworth’s know-how and expertise into ground-breaking new territory to prepare for an autonomous future. Led by automotive services provider Applus+ IDIADA and also involving Cranfield University, Westfield Sports, Secured by Design and the Transport Systems Catapult, the consortium has been awarded UK government funding towards the development and trial of technologies that could radically reduce multi-car collisions on motorways. “We are proud to be a partner in the pioneering MuCCA project, delivering the video camera, lidar sensor, data fusion and data logging technologies that will provide the view of the world for each vehicle,” explains Director of Automotive Electronics, Dr. Pio Szyjanowicz. “Many years ago, Cosworth was the first company to introduce products to the motorsport market that successfully fused video and data. We have since become the first to introduce it to the consumer vehicle market. It perfectly encapsulates Cosworth’s race to road ethos,” Dr. Szyjanowicz concludes.